1. Using a deep pot, heat oil to high. 2. Mix cornmeal, flour, baking soda and salt. 3. Stir in the onion. 4. In another bowl, mix the buttermilk and egg. 5. Pour liquid mix with the dry mix and blend. 6. One at a time, drop 1 tablespoon of the batter into the oil. 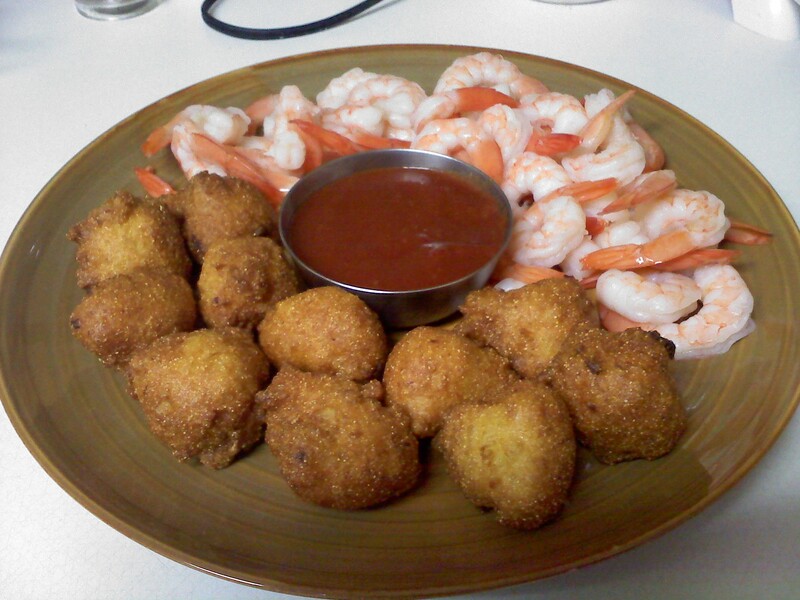 (dip the spoon in a glass of water after each hushpuppy). 7. Turn the hushpuppies while they cook until they are golden brown. Note: The avocados need to be soft for the dip. I like to keep it slightly chunky, but you can mash the avocados to be as smooth as you want the dip to be. I love sweet potato fries! Every time I go to the grocery store I buy a sweet potato or two. They are so simple to make too. You can slice them any why you want. Put them on a pan. Drizzle olive oil, salt and pepper on them. Bake at around 350. Takes approximately 30 minutes depending on how crispy you want them. That’s it!